This week we conclude the four part exercise routine series that we began in January. This week’s topic: endurance exercise. Endurance exercises are those that are intended to increase your heart rate. So, endurance exercises can take on many different forms. They can be everyday activities like chores or they can be exercise-focused activities like walking. It doesn’t matter what you are doing, as long as your heat rate goes up while you are doing it! 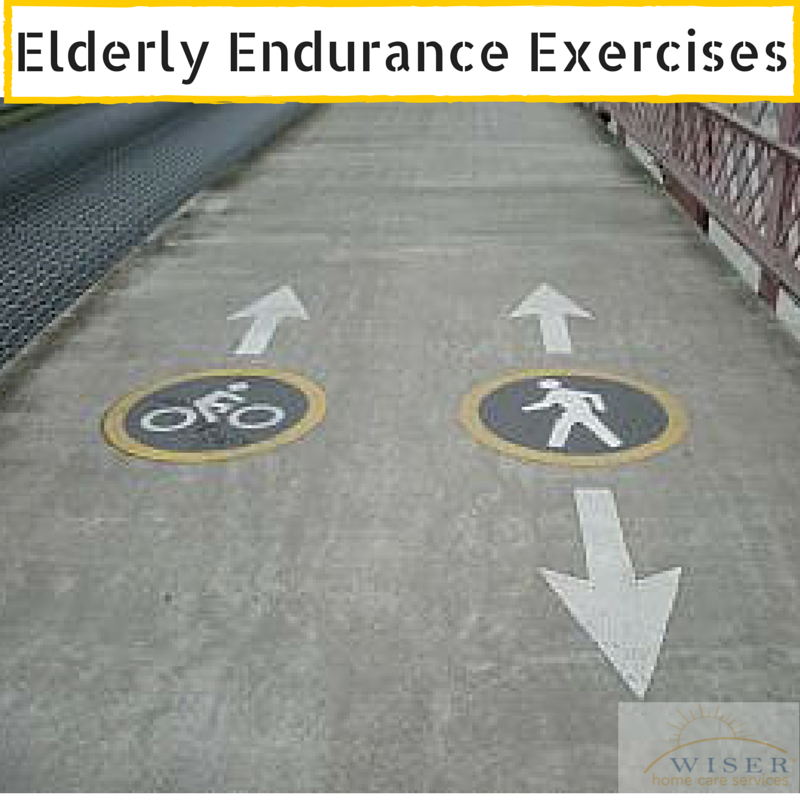 For endurance exercise in the elderly, it is important to consider each individuals level of health and physical activity. Start slow with short periods of endurance exercise. Even 5 minutes is a good starting time. Working up to at least 10-30 minutes of exercise at a time is ideal, but not necessary at first. Overall, it is recommended that seniors do 150 minutes of total exercise a week. When beginning a routine, breaking this 150 minutes up into smaller amounts can seem much more manageable. When performing these exercises, make sure to include a warm up and cool down. Aim for a speed where you are speaking in a normal voice, without struggle. If speaking is difficult during exercise, then the intensity or speed of the activity should be lowered. Remember, endurance exercise is ANYTHING that gets your heart rate up. Thank you for staying tuned throughout our four part series. We hope you learned a lot. Ideally an effective exercise routine should include all of the four aspects that we discussed. They are stretching, balance exercise, strength training, and endurance exercise. Keep this in mind when considering an exercise program for yourself or someone you care for. If you still have questions and concerns about how to help your elderly loved one start exercising more please feel free to contact us. We can help your family establish a care plan to personally accommodate your loved one needs. Wiser Home Care Services: Care for the ones you love! I will be sure to bookmark your blog and may come back in the future.